The two artists are walking the streets of Havana, soaking in the Cuban sounds that are coming out of every café and every street corner. They approach two musicians playing at an out-door café; a nice, soft tune filling the warm summer air. The two, take a table at the café, and begin discussing the new song that has just been written and a suggestion is made to play-out the song right there and then, with the other two musicians joining in. And then the new song, “Yar”, takes musical flight; inspiring a spontaneous accompaniment of a beautiful dancer. Amir Soleimani is an innovator in the Iranian music video scene. His beginnings were not too long ago, when he appeared on television in 1987 and then later in movies. In 1990, he became a First-Director’s Assistant and Planner in the Iranian Film industry, working on Shabe Roobah (Night of The Fox), in 1996 and Ashoobgaran (Anarchists) in 1998. His love for “moving pictures,” capturing images that will last through the generations and his passion for graphics and computer technology, was quickly recognized by the leaders in the Iranian movie industry. Soleimani has had the opportunity to work with well-known Iranian directors such as Mohamad Reza Alami, Homayoon Asadian, and Asghar Hashemi. 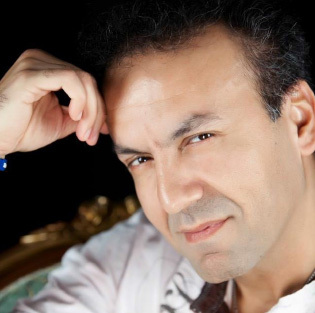 He has also directed several music videos for some of the greatest artists/performers, such as Faramarz Aslani, Moein, Babak Amini, Shadmehr Aghili, and others. Amir Soleimani moved to Canada, in 1998, and studied digital video editing in International Academy of Design, and was hired by GPI Corporation as a senior editor soon thereafter. Today, he is an independent film and video director, creating music videos for the Iranian and Canadian communities.